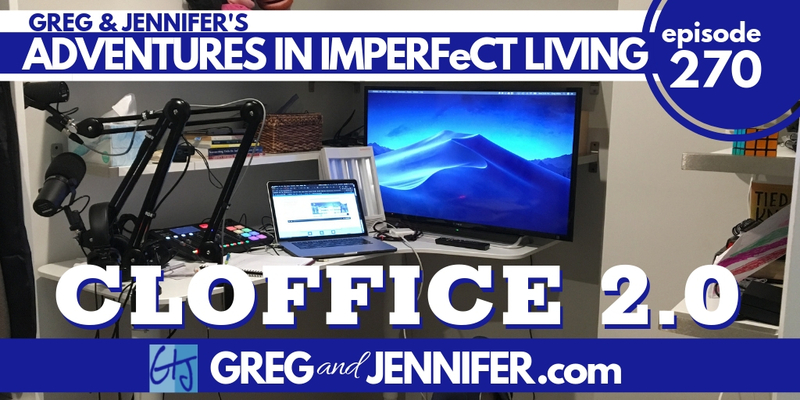 In episode 270 of Adventures in Imperfect Living we talk about The History of Cloffices, Katherine tricked us into going to Confession, DMV Craziness, A Positive Turn with Meds, and the inaugural recording of the all new Cloffice 2.0. Can I Receive The Eucharist? Greg is married to Jennifer. They've got five kids. Greg and Jennifer Willits have been podcasting since 2005 and married 10 years longer than that. The former hosts of “The Catholics Next Door” on SiriusXM, together they’ve written several books, created awarding winning video and audio programs that have been downloaded more than 10 million times, and most importantly – love being married and raising their five kids.